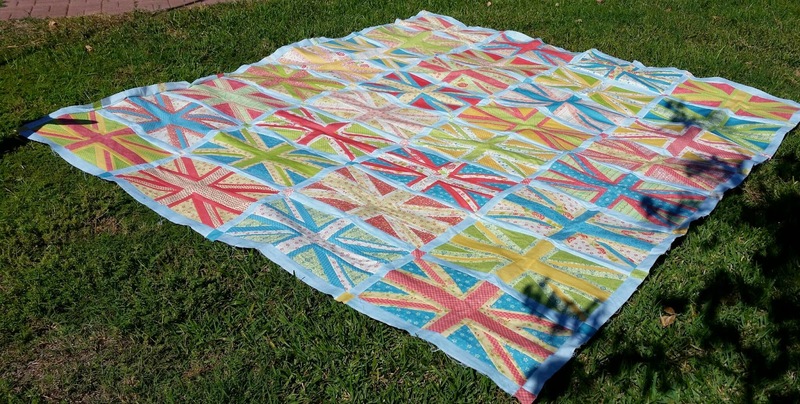 A Quilting Chick: Union Jack Finish! 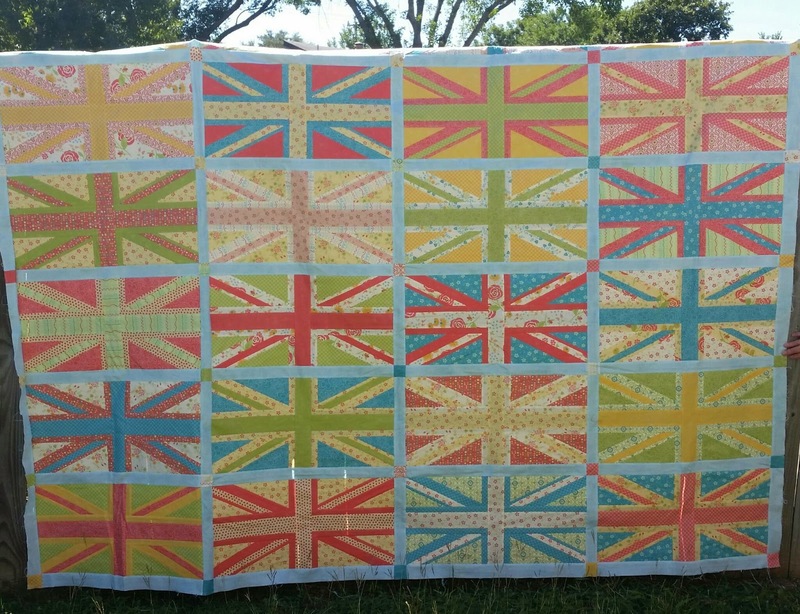 As promised, here is the finished top for the Union Jack quilt!! This is going to be for my daughter's graduation come Spring, 2015. Her school flag is the Union Jack and she's been watching this progress with a close eye. 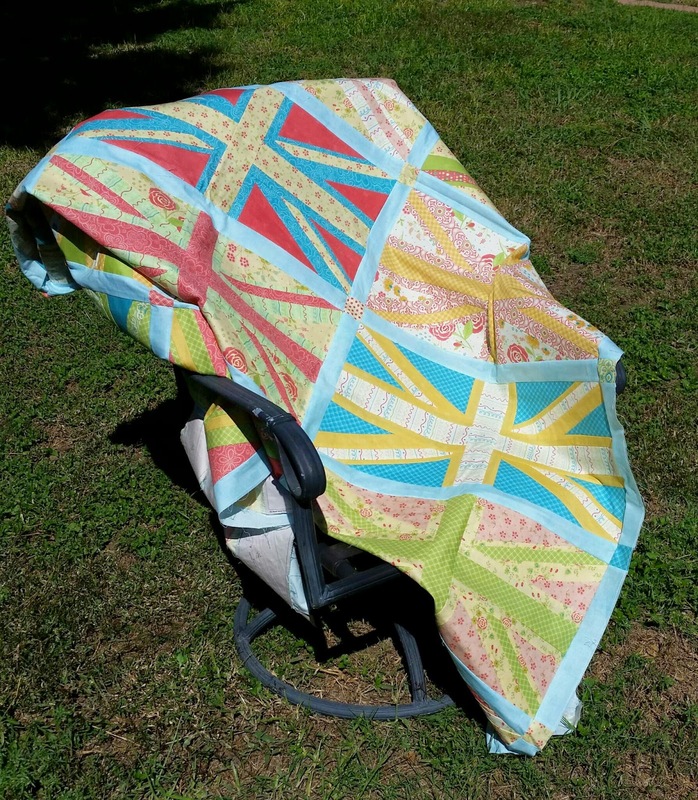 The quilt top is paper pieced using the pattern from the January, 2014 issue of McCall's Quilting called, "His Royal Union Jack." The original pattern called for making 18 blocks. I opted to make 32 as we wanted a large, bed-sized quilt. The bright, fun colors of the fabric from Moda's Chance of Flowers line really make this quilt. I'm so glad to have this giant finished!! On to my next challenge! Linking up with Crazy Mom Quilts and My Quilt Infatuation. 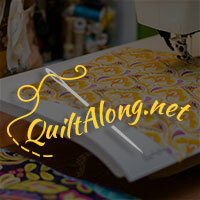 Also linking to Val's Quilting Studio for Tuesday Archives. Beautiful! I have been thinking about one of these but have only made a practice block so far. I hope your daughter loves it! Yippee! Ya got 'er done!!! I love it! Most effective, it looks great!!! Pretty! This block is on my bucket list. But what color? Congrats to your daughter in her imminent graduation. Mine is in her first year of college. I like the variety of colors you used in the quilt.